Sledding is a high-energy snowmobile activity that demands utmost safety and protection for any rider. The head for one needs protection not only from injury but also from weather elements like cold, rain and wind. A snowmobile helmet is a handy gear that you will need to select carefully to enjoy full benefits. This helmet covers the entire head with no shifting parts. It is also designed with a double lens fixed shield and a breath box to reduce fog and keep wind noise to the minimum. It is a great option for the high-speed rough riders and a good start for the beginner. Its con is that you have to remove the entire helmet in case you want a breather since it has no flexible parts. This type of helmet is popular among frequent riders. It comes with an open face and no shield and allows one to use goggles and a breath box for ventilation. Goggles give you a wider field of vision compared to a helmet shield as they are closer to the eyes. This type resembles the full face helmet only that it is designed with a visor that flips up. 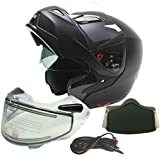 This makes it a great choice for those It also happens to be the most popular type of helmet particularly for those who constantly need fresh air or contact with their face and those who put on glasses. These are a hybrid of the snocross and full-face helmet with a breath box and face shield yet with a wide field of vision as in the goggles. Breath guard. Because fogging is a common challenge when in motion and it blurs vision, the function of the breath guard is to direct our breath out of the helmet and prevent fogging. It is sealed where it touches the nose and face to prevent fog from penetrating to the shield. Shield. For a snowmobile helmet, the shield is a dual pane to prevent fogging. Other shields that can be purchased separately include the electric shield powered by your sled’s electrical system by connecting with a cord for a more effective reduction of fogging and the tinted shield for those having trouble with the sun’s glare. Ventilation. Even with the need to seal off the biting cold, ventilation remains an important aspect. You do not want to suffocate while out in the cold. At the same time, you want to get rid of fog as much as you can and this is one purpose that ventilation serves. It is advisable to go for an adjustable vent on your helmet. Frame or no frame. If you prefer the older style helmets, a frame is important as it helps hold the dual shields together. The most recent helmet, however, employ a technology that keeps the dual shields intact without the need for a frame. Safety rating. As far as safety is concerned, helmets will be rated for shock absorption during impact, peripheral vision, ability to hold up impact from a sharp object and how well the chin strap will tie up around the chin. The most basic safety standard that all helmets must meet is DOT as set by the Federal Government Department of Transportation. Other standards are Snell and ECE. This helmet by ILM comes with all the right features for a memorable snowmobile adventure. A dual visor with the inner visor protecting your face from impact and the outer layer shielding your face from the heat of the sun. Its aerodynamic-shaped shell works at reducing the drag of wind as you move thus reducing wind noise and buffeting while also minimizing pressure on the neck muscles. With the flip-up vent to enhance ventilation the possibility of fog building up is eliminated. Its impressive construction includes lightweight padding used for its lining and around the cheeks is soft and offers comfort and warmth on the face and is still removable and washable for easy maintenance. Extra accessories include a storage bag for safely keeping your helmet from scratch and damage and a quick release strap that makes it easy for you to operate. Finally, this helmet is up to scratch with DOT and FMVSS-218 Safety Standards to guarantee you both safety and quality and comes with a range of ten color option. 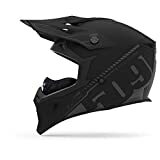 This versatile helmet is for the motorcycle and snowmobile enthusiast seeking one helmet for both sports. It features a modular flip-up feature which with a simple push of a button converts the helmet from a full face to an open face. 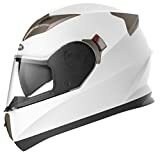 The Viper Modular helmet is an advanced unit designed with simple convenient operation features including the quick release buckle when you need to take it off, easy access open air vent with ten ports to provide ventilation at your convenience, anti-scratch sun tinted visor that’s easy to pull over or back when needed. An advantage is that these controls are all operable with gloves on and are waterproof too. Coming in a range of colors, there is certainly something for everyone. Ultimately, a helmet’s mark of quality and safety is DOT approval and this one complies with the FMVSS.218 safety requirements. An additional microfiber bag for storage helps you keep your helmet safely. This is by far the best modular snowmobile helmet we came across. 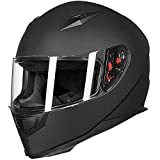 Here is an amazing entry level helmet for the beginner or for those who intend to go slow on speed. However, it still comes with the functional features that are found in other more advanced helmets. These include a tinted and a clear anti-fog and anti-scratch visor that you can switch when the need arises, an aerodynamic design that reduces wind noise and buffeting ultimately giving you better ventilation, as well as a lightweight shell made of ABS together with a lightweight inner liner with a soft feel on your face. An additional convenience feature includes a strap that releases off fast and easy when you need to take off your helmet. In addition, it is easy to clean and maintain helmet thanks to the removable and washable liner. Its package includes a neck scarf for sealing of chilling breeze during winter. On the overall, this is a great choice for inclusion in a starter pack. What’s more, it meets the FMVSS-218 and DOT Safety Standards. However, if you intend to go high speed on your sled, consider a more advanced helmet. A quality helmet with basic features for the simplistic or beginner rider. It comes with a single clear anti-fog visor and an adjustable vent positioned at the chin to allow airflow up the face inside the shield. It also comes with a wider field of vision which is one of its greatest strengths. It is available in different sizes ranging from small to extra large. On the con, however, is that it doesn’t hold up well in high speed so you might have to go for a different option. Secondly, it lacks the tinted visor which has almost become standard in top quality helmets. Taking quality a notch higher is the professional grade, DOT FMVSS 218 certified full face YM-829 helmet by YEMA. Apart from its sleek design, this helmet is remarkably functional. Its aerodynamic design protects you from buffeting and wind noise. Along with two interchangeable visors; tinted and clear, you get a clear view and protection from the sun’s glare. Adjustable vents take care of ventilation at your convenience while the removable liner gives a soft comfortable feel on your face and is easy to clean and maintain. Its construction features an ABS shell layered with multi-density EPS foam to absorb any external impact and protect your face. The chin strap comes with a double D-Ring buckle that’s quite effective at fastening to give you a great fit. Quite distinctly, this helmet is designed with enough space making it one of the best snowmobile helmet for glasses. It can also accommodate Bluetooth speakers. This is a unisex helmet that you definitely won’t mind having for those special riding events thanks to its advance functional and safety features. The Tactical polycarbonate helmet by 509 comes with 14 color options and 6 size options from XS through 2XL to meet varying needs across the board. Beyond this, it is made up to standard, meeting DOT, AS, and ECE 2205 safety stipulations and is without a doubt durable. The outermost lightweight polycarbonate shell is tough enough to give you some years of useful service and maximum head protection from impact. 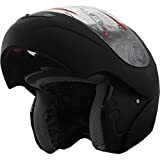 In addition, this helmet features premium dual-density EPS foam liner underneath the outer shell, which is known to retain excellent performance through years of use. The solid PU chin insert is an added protective feature that extends from one side of your chin to the other, to protect it completely from the impact. This makes the Tactical helmet one of the best in terms of protection and performance. Overall, the Tactical helmet is designed with a profile that will fit well with a neck brace and an eyeport that fits all of 509 goggles. This Snocross helmet features two items, a helmet and goggles, in one package. A good option if you are looking for high adjustability options as it features a removable liner along with an adjustable breath box. This helmet, aside from its quality build, meets the DOT FMVSS 218 helmet standards. It is also pretty comfortable thanks to a liner with excellent moisture-wicking property and a soft-padded cheek area. This liner is removable and easy to clean. 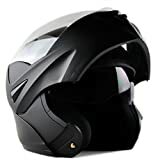 Its shell features an aerodynamic design to keep your helmet in place, eliminating any form of lifting, even when you are riding at high speed. 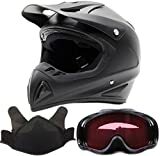 In addition, it also features a removable breath box for cold weather riding, which helps keep snow and cold air off your face as you ride and clears off any build up of fog inside the helmet. Other impressive design features include the vents to facilitate proper ventilation and a 3-point sun visor to protect your eyes from the sun’s direct glare. The goggles, on the other hand, are designed with dual-pane lenses coated to eliminate fogging along with a large three-layered foam padding for comfort and protection. This package also includes an additional pair of clear lenses that will come in handy in low light conditions. They come with a polyurethane frame and no-slip silicone elastic strap that you can adjust to fit your goggles securely to your helmet. If you are looking for an all-season helmet, the Adult Dual Visor Modular helmet makes a very good option. It comes with remarkable design features that will prepare you for both cold and favorable weather riding. The heated electric shield along with its wiring set, the easy-install breath box, and the chin insert are all features that will benefit you if you are riding in extreme conditions. The shield comes outfitted with a dual-pane and a scratch-proof coat for maximum protection and to keep it in a great working condition for years to come. On the other hand, if you are riding under less extreme conditions, this helmet comes integrated with a sun visor that’s tinted to protect your eyes from the sun’s glare. Again, it fits well over your prescription glasses and pulls back completely to lock securely in place. This helmet has excellent ventilation thanks to the air intakes located on its upper and lower side, which are connected to its interior airflow channeling system. This system allows you to adjust the flow of air accordingly by locking any of the air intakes. Comfort was not compromised either. The padded interior lining will provide superior warmth and comfort to your entire face. It is also removable if you will need to wash it to keep it clean. The padded chin strap keeps your helmet securely fit. 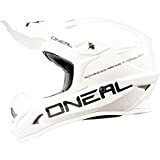 This polycarbonate helmet from O’Neal is a great option if you are looking for an all-round safety guarantee. It meets the DOT, ECE 22-05 and AN\NZS safety certification standards to offer you the best of protection while riding. Beyond this, it is a versatile piece. It visor design allows you to lift it up or close it down when you need to. The inside liner can also be removed during cleaning and replaced back. In addition, its comfort is incomparable. The manufacturer certainly picked on a material with excellent moisture-wicking features because you need to be warm and dry to enjoy your ride. Ventilation features include both intake and exhaust vents to keep you cool. The 0623-053 model in the 3 series line of helmets has two color and 5 size options. 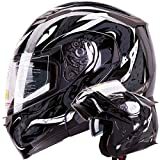 Whatever features you are looking for in a helmet, it is not just enough to go through snowmobile helmet reviews, better to take your time to get the best helmet for your needs. Always consult the manufacturer’s sizing chart as they tend to differ, in order to get the right fit. Better still, walk into the store and physically fit your helmet of choice before purchase. This is because your comfort and safety depend on the right choice.